The most used type of extrusion process is the DIRECT EXTRUSION. In direct extrusion a stem with a pressure pad in front, pushes billet in a stationary container, through a tool with the desired shapes, the die. Relative movement takes places between the billet and the container. 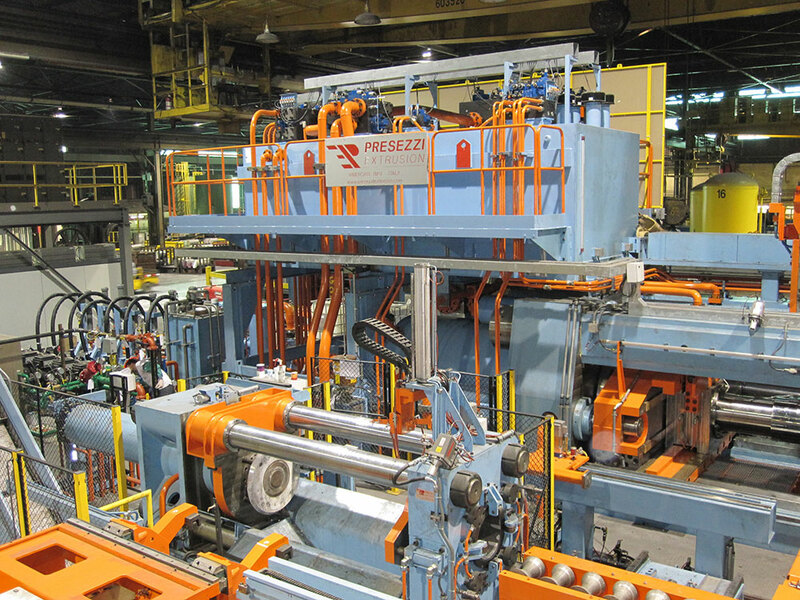 PRESEZZI EXTRUSION developed different Presses, back-loading and front-loading type for Aluminum, Copper or Brass. FEM-Optimized structure and Pre-stressed tie rods. Multi zones Container Heating and Cooling. Aligned and Perfect Shear cut. ENERGY SAVING SYSTEM hydraulics compact module. Automatic Shear blade, Billet and Dummy lubrication system. For the extrusion process where hard alloy is used the good option is the Presezzi Press for the INDIRECT EXTRUSION. In indirect extrusion, the die is located in front of a hollow stem and pushed against the billet by the forward movement of the container closed at the back. There is therefore no relative movement between the billet and the container. 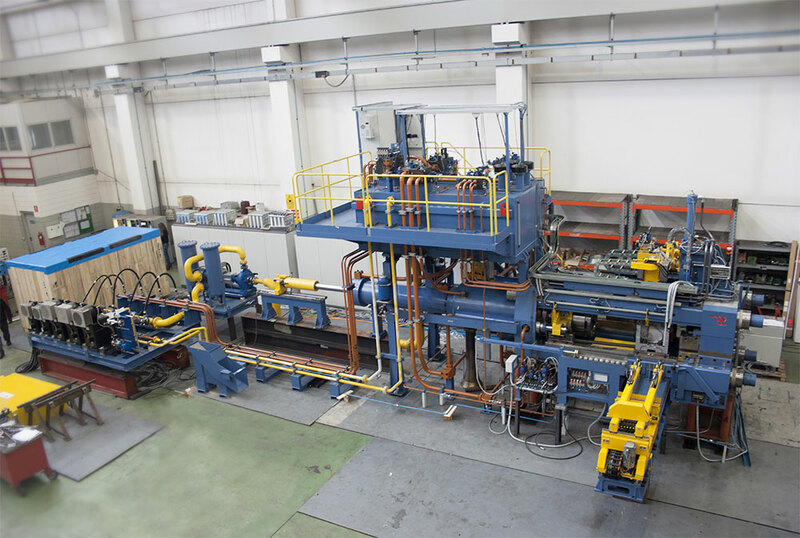 PRESEZZI EXTRUSION developed different solution for press cycle with fixed or moveable die for indirect extrusion of Aluminum, Copper or Brass. Automatic manipulator like a robot, for die handling. Billet scalper for the billet skin removal. For the extrusion process to build seamless pipe or special profile with the use of soft or hard alloy in direct or indirect extrusion the good option is the Press with the PIERCER. 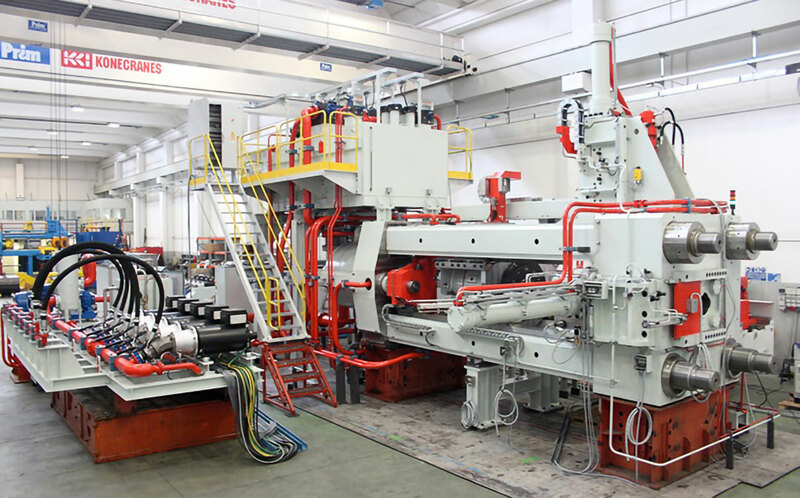 PRESEZZI EXTRUSION developed different solution for the extrusion with fixed or moveable mandrel cycle for direct or indirect extrusion of Aluminum, Copper or Brass. Mechanically or hydraulically locking of the piercer.